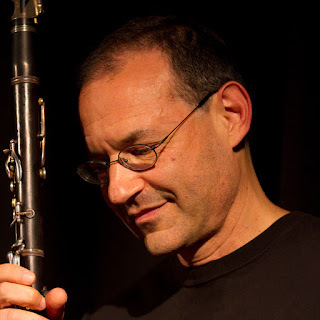 Clarinetist Ben Goldberg will present an evening of improvised music with two masters from New York: pianist Cory Smythe and bassist Stephan Crump. Pianist Cory Smythe engages a broad repertoire of new, classical, and improvised music. He has presented his work in recent appearances at the Newport Jazz Festival, the Approximation Festival, the Takts Festival, NYC’s Jazz Gallery, and Lincoln Center’s Mostly Mozart Festival. Smythe has performed widely as part of the International Contemporary Ensemble, the Tyshawn Sorey Trio, and in recital appearances with violinist Hilary Hahn. His latest album A U T O TROPHS (released in 2017 on the Notart label) was called “dazzling” by the Chicago Reader. Bassist Stephan Crump launched his solo performance career as an invited artist at the 2009 International Society of Bassists conference and has since released several recordings documenting his duo collaborations with alto saxophonist Steve Lehman, pianist James Carney, and guitarist Mary Halvorson. His all-string Rosetta Trio, with Jamie Fox and Liberty Ellman, is working toward their fourth album, while his Rhombal quartet, with Tyshawn Sorey, Ellery Eskelin, and Adam O’Farrill, recently released its eponymous debut.